Update, June 8th: Michele Attisani, one of the co-founders of FACEIT, says it is “super important” to give players like D0cC the support they need after he was harassed online by trolls. According to Attisani, it’s not unusual for players to be met by criticism when they join the FACEIT Pro League (FPL) circuit, but FACEIT is there to help them become better professionals. Bored of playing the same old game? 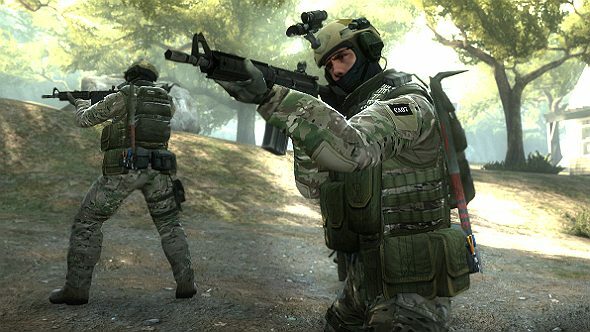 Here are our top FPS games. That support will be key in helping Shuaib ‘D0cC’ Ahmad find his place. After qualifying for FPL last week, he received hundreds of abusive messages when the announcement revealed his identity, which he had previously kept hidden. The Netherlands-based 17-year-old is undeniably a talented player. While working his way up the FACEIT ranks, he broke the circuit record of a 19-win-streak and finished the challenger tournament with an incredible 68% win rate. He is also a controversial figure in the CS:GO community, refusing to use his microphone to communicate, making excuses to avoid speaking in-game. As his prominence grew, however, he began making calls. No one had ever seen him. Attisani cites Robin ‘ropz’ Kool as an example of another player who has had a hard time bedding into the pro scene. “We have seen [it] over and over again with FPL,” says Attisani. “When [ropz] first got into it, a lot of players were accusing him of hacking and saying he didn’t deserve to be there, but we managed to get him the love and respect he deserved. It was FPL’stweetlast week that spread D0cC’s face all over the internet. Insults about his appearance soon began to flood in, along with comments about immigrants, muslims, and terrorist attacks. Ahmad has yet to respond to the abuse, but FACEIT’s response is clear – they simply won’t tolerate it. The abuse has been condemned by Milos Nedeljkovic, project lead of the FPS circuit, who said it was one of the “worst” witch-hunts he has seen in 12 years of working in the industry. Just to let you know that we already verified Shuaib and that FACEIT will always stand with the players, no matter what. The time will tell everything and only he has a say in his future in FPL and as a potential pro player. Shame on all of you who are doing this, really. And while it’s easy to take notice of the negative side of things, there are – somewhere in the myriad of replies – messages of congratulations, too, from some of the biggest names in the industry. GeT_RiGhT even first picked him to play above other pro players.